Things don't always go as planned. Accidents are an all-too-common occurrence that can negatively impact businesses of all types and sizes. Safety inspections can prevent these accidents from happening! Nonetheless, many business owners prefer to risk cutting corners, hoping to save some time and money in the process. This is a slippery slope that often leads to disaster. In October 2018, a stretch limousine plowed through an intersection in upstate New York. Twenty people were killed—17 passengers, two pedestrians, and the driver. This accident is considered to be the deadliest U.S. transportation disaster since 2009, and it made headlines across the world. On June 14, 2017, a fire broke out at around 1 a.m. in a 24-story apartment block in West London known as the Grenfell Tower. The fire raged for 24 hours, but it took over 60 hours to fully extinguish it. Seventy people died in the fire, and another two victims died at the hospital. Another 70 people were injured. With material damages estimated at between 200 million and one billion pounds, the Grenfell Tower is the deadliest structural fire in the United Kingdom since 1988 and the worst residential fire in the U.K. since World War II. The building underwent significant exterior renovations in 2015-16, including rain-screen cladding that later proved to be highly flammable. Both residents and an official report mentioned safety concerns about the building—before the fire. To make matters worse, the first fire brigade incident commander admitted he failed to make numerous safety checks before the disaster, stating that he didn't know fire could spread through the cladding. Also known as the BP oil disaster, the Deepwater Horizon oil spill—which began with an explosion on April 20, 2010, in the Gulf of Mexico—is considered to be the largest marine oil spill in history. Even after two years of being declared sealed on September 19, 2010, reports indicated that oil was still leaking. Eleven people died and 17 were severely injured in the accident. Countless people along the Gulf's U.S. coast were negatively affected. An investigation by the U.S. Chemical Safety Board (CSB) revealed that Deepwater Horizon personnel did perform regular inspections on components necessary for day-to-day drilling operations. But they didn’t conduct regular checks on the emergency systems used to identify latent failures. If they had, the disaster likely could have been avoided. Proper, regular safety inspections could have prevented these three disasters, and they can keep similar tragedies from happening in your organization. Never undervalue workplace safety. A proactive approach to safety has many benefits and many risks and liabilities if you don't. A safety mindset can increase production, reduce costs, lower the risk of accidents, boost morale, and streamline operations. On the other side, however, if you decide to forsake workplace safety in favor of short-term profits, you may end up losing both. These five elements of a safe work environment are easily achievable by both big and small business. 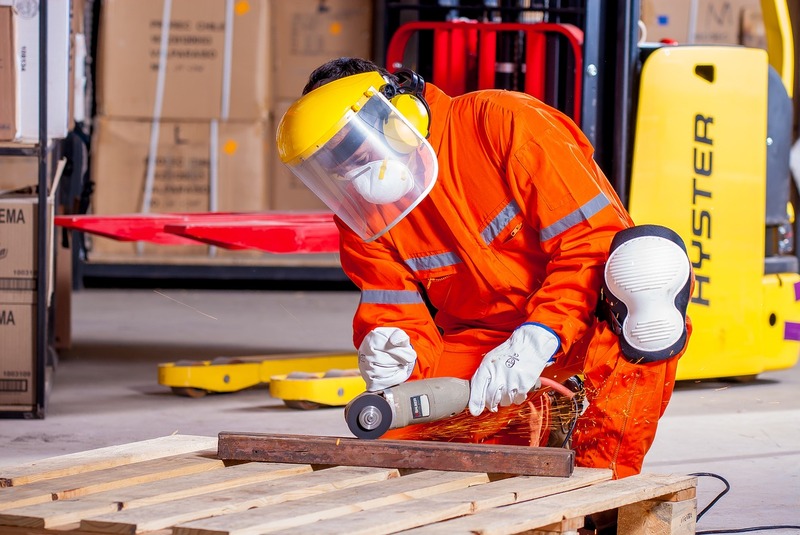 Safety policies and procedures aren’t enough to ensure a safe workspace. The employer alone can’t guarantee workplace safety. Everyone in the organization should be trained in the importance of safety and their role in maintaining a safe workplace. Nobody wants to get hurt or see their colleagues get hurt. But people generally have the impression that work-related accidents only happen in other places, to other people. This thinking leads to complacency, and that's precisely when accidents happen. Good training can impart the safety attitude necessary to guard against this complacency. Workplace safety almost always happens in stages. Usually employers originate the idea of protection. It’s what's known as the adoption stage. Once ownership and management have adopted a safety mindset, that mindset will spread throughout the company. but too often employees are acting safely simply because they’re instructed to. what they're instructed to. This stage can’t go on indefinitely. Next comes the engagement stage, when everyone genuinely buys in. It becomes part of the culture—let’s keep each other safe. It costs money to implement and uphold safety. That’s the exact reason why some businesses decide to cut corners or renounce on safety altogether. Nevertheless, by doing so, all of these businesses—by not investing in safety—inevitably end up paying more in the long term than what they managed to save in the short term. Smart organizations provide the resources to be safe. Hazards in the workplace range from seemingly simple hazards (poor housekeeping, working in confined spaces, etc.) up to dangerous chemicals, exposed electrical wiring, and other such extremely dangerous (potentially fatal) issues. Even if identified, most of these hazards go unfixed over prolonged periods, making them increasingly dangerous. That’s why you need audit/inspection software such as The Checker Software, which instantly emails action items to the people who need to be involved in remedying the hazard. 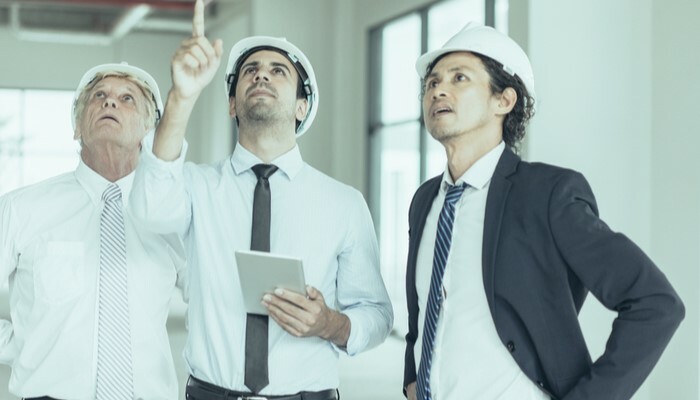 The workplace won’t be safe if the organization’s leaders “talk the talk but don’t walk the walk.” It’s not wearing a hardhat while touring a site. It’s budgeting and effectively incentivizing. It’s truly valuing safety. When leaders make it clear that safety matters immensely—and they back it up with action and budget funding—the cost-saving, life-saving benefits of investments in safety are fully realized. Get on the right track of developing a safety-oriented culture where everyone stands to gain. For more information on how to increase the safety of your business, visit our website or contact us directly. No one wants to do extra work. You’ve probably seen it in your own workplace. Employees and Managers alike will always try to get the job done as quickly as possible. This is no different when it come to using The Checker Software for creating your custom Audit and Inspection forms. This may sound counter-intuitive but research shows that the less fields you have on a form, the more likely a user is to complete the form. Inspections often require a lot of information to be gathered in order to remain compliant with specific regulations. Because of this, adding additional fields may make matters worse. When considering adding new fields to a form ask yourself this question, “What will I use the data for?” If you can’t quickly answer which report this data will be used for or which governing body you will pass along this information to, take that field out of your form. If you’ve ever filled out information on a form only to go back and forth between pages in order to review notes or look at previously entered information, than you understand the value of this best-practice. 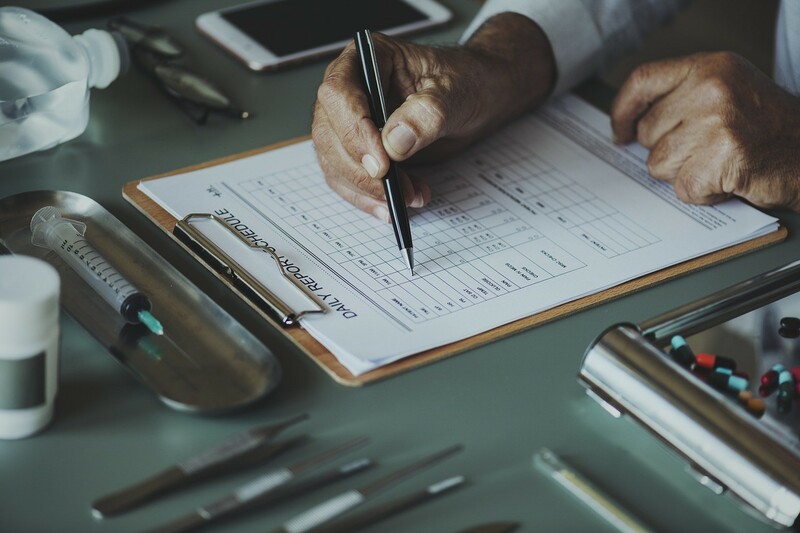 When planning out your Audit or Inspection form, make sure to consider each location and the method that is used by the Auditor/Inspector to complete the inspection. Consider things like, location, types of items being inspected, action items that may be gathered, team members working on the inspection, general notes that may be gathered. Some users may be using a phone, tablet or laptop in order to complete an inspection. Users will have varying skills when it comes to typing. As a best-practice, use as many auto-suggest and drop down fields as possible. Other ways to make forms easy to fill out include having pre-populated fields, yes/no options, and multi-select fields. The Checker Software comes will all of the features built-in to make your life easier. It may go without saying but we have seen many times where someone builds a form inside their own box, only to find out it doesn’t work in the field. Make sure to complete inspections with your forms in order to ensure they don’t go awry. Similar to number 4, many safety professionals end up in a scenario when an Audit or Inspection gets built in a bubble where no other departments have been consulted. This ends up in a pattern of iterative forms being created and the lack of being able to produce quality reporting. Make sure to gather stakeholders from any departments who may need information from these Audits/Inspections. This may cause an initial delay in getting your inspection process started but will prevent future delays once the inspections begin. Your inspection program is a huge key to the success or your business. Don’t take it for granted. Take the time to plan out your forms to make sure both workers and management get the most of out the data that is gathered. If you think you may need help in planning out how to build your inspection checklist, we’re here for you! Contact us today to see what The Checker Software can do for you. Inspection - a formalized and properly documented process of identifying hazards in the workplace. Walkthrough/walkaround - a worker or supervisor observing work taking place, inspecting the workplace, and discussing the safe performance of work with staff. The focus of a walkthrough should be positive, building team work and safety awareness rather than simply pointing out problems. A walkthrough, also known as a walkaround or walkaround observation, allows businesses and their employees to understand better the work environment, its surroundings and the risks they are exposed to if not carefully instructed about how the work areas should be handled. With The Checker Software, you can easily document everything from your walkthrough using our Observation Reporter feature. It’s simple, quick and will help you retain all of the information gathered during your walkthrough. While sometimes a pre-inspection may seem like going a little too far, it is necessary to make everybody understand what they should do when they find themselves in a particular area of the working facility. This step is similar to a training exercise where the worker is taught what the focus should be on what, how and why the walkthrough is held. It's the step where everybody learns the concept and gets familiar with the working environment. People get the chance to talk with one another and to listen to safety specialists on what the best practices of the specific field are and how they can better acknowledge them. When starting the walkthrough of the facility, be sure to limit the size of walkthrough groups. A limited number of people is more efficient when it comes to taking the tour. More often than not a single person may conduct the walkthrough on their own depending on the size of the facility. In larger groups, people tend to lose their focus and get bored faster, due to the long waiting periods and the slow movement flow throughout the entire facility. Remember, less is more! After finishing the walkthrough, be sure to emphasize the role this tour plays for the safety of each employee while entering the facility. Make oral bullet points (you can even ask people to write them down) about the key findings and elements that people have learned during the walkthrough. Be sure to answer all the questions and offer all the necessary details required by each walkthrough participant. Information is King! As the last step of a successful walkthrough, you will need to draw crystal clear conclusions that everyone will understand and remember. Ask the right questions and try to help everybody in finding the correct answers if they can't come up with it straight away. Make the most important elements of the walkthrough stand out by starting short scrum sessions about them so they will stick in people's minds. If you're interested in learning more about using The Checker Software for walkthroughs, be sure to contact us, right here, or drop us a line with your questions on our official website. 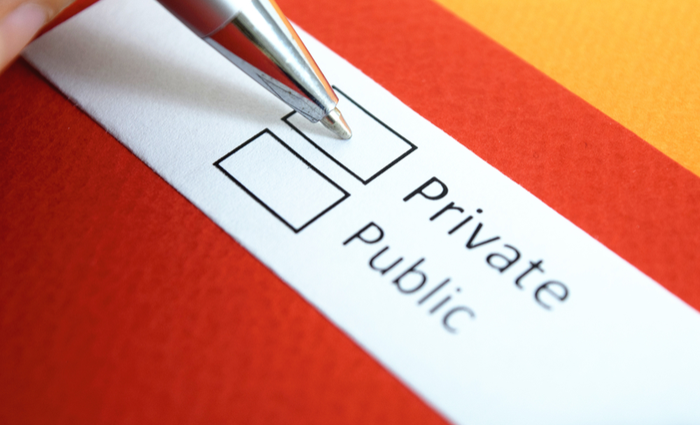 Private vs. Public institutions - Why is there a double standard? The eternal public vs. private sector debate has (for a long time actually) reached safety standards issues. Why do you ask? The answer is simple. The discussion starts off based on the premises that the private sector and private institutions in general, are not held to the same high standard municipalities (the public sector) are. So why is that? 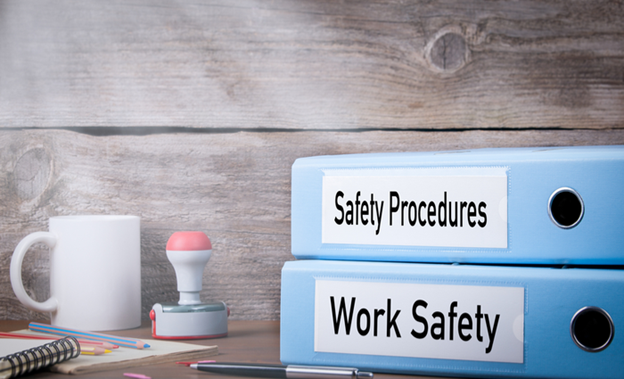 Most of the times, private businesses are allowed to cut corners, or regulatory organizations look the other way when it comes to safety standards for their employees, for their buildings and the entire workplace in general. On the other hand, when it comes to the public sector, municipalities are highly standardized, and there's no taking the easy road here. And nor should it be. When it comes to the safety of your employees, private or public, it does not matter. Safety is (or at least it should be!) universal for everybody, no matter the sector of work. Municipalities are held to the highest possible standard and often scrutinized to ensure they are keeping their employees and facilities safe. However, this is not the case with the private sector, where it seems like the norms are looser. When dealing with the public, transparency is mandatory, because every contributor has the right to know where their tax dollars are going. But why shouldn’t private entities be as transparent as governmental institutions when it comes to the safety sector? Shouldn't these numbers be available to everybody? Shouldn't all employees have access to see how much their employer is investing in the safety of the company's employees? We think that this is the way of the future because everybody deserves to work in a safe environment which is being checked out on a regular basis to make sure that all the latest safety standards are being implemented. Why is it that a large portion of our customers come from the public sector when the global tendency is to shift to the private sector? It means that although more and more private companies are being founded and starting activities that should be inspected, the number when it comes to implementing safety standards is not growing at the same pace. Here, at The Checker, we offer professional services for both private and public entities, making our book the easiest to use, the most accurate and complete material on the subject available on the market. We have been providing The Checker Checklist Books since 2000, contributing to more over 20 million successful inspections. If you're interested in taking your company to the latest safety standards in your field, or if you want to ask us for more details regarding our services, be sure to visit our official website, right here. What Is A Circle Check? The most common equipment defects are related to tires, wheels, brakes, and coupling devices. Together, they make up around 12% of all heavy machinery accidents. When an accident occurs, there is usually a loss of productivity, downtime, repairs, or even injury..
A proper and detailed inspection of the vehicle before its use will detect any defects. 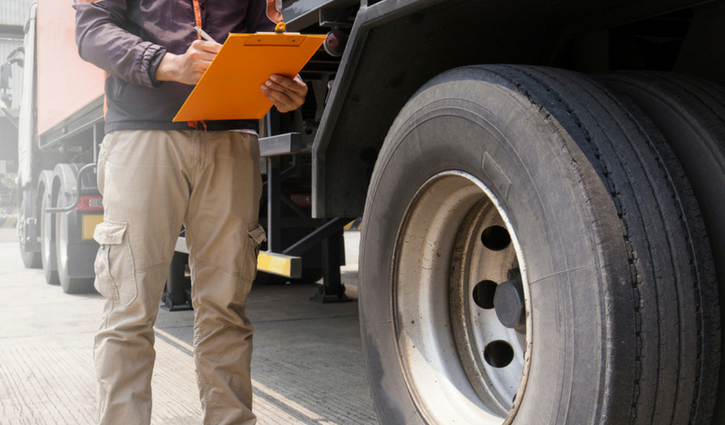 The Highway Safety Act stipulates that heavy-duty equipment needs a review every 24 hours. A circle check is a visual inspection, and requires a physical inspection of the vehicle, be it a truck, trailer, forklift, bulldozer, car, etc. As its name would suggest, the circle check requires the inspector to go around the vehicle and look and check for any signs of risk, damage, or malfunction. The operation should become an automatic and implicit element of your safety procedure. It is to be performed every time a vehicle or piece of heavy equipment will be put to use at the beginning of the day. Immediately report any problems or inconsistencies to the supervisor. Before the vehicle is used, the issues must be resolved. The purpose of one such circle check is to make sure that all principal components of the vehicle are in proper order and good working condition. It will also ensure that both the owner and the operator are informed about the situation and what repairs are needed. Lastly, this daily inspection will guarantee that there are no vehicles with significant problems operating on the road, keeping both operators and other civilians safe. It is important to remember that ALL road vehicles used for business / commercial and not just road vehicles with a gross vehicle weight rating (GVWR) of 4,500 kg/10,000 lbs or more are required to conduct regular circle checks. These include vehicles such as cement mixers, tank trucks, fire trucks, ambulances, snow removal trucks, vans, pickup trucks, cars, trailers, semi-trailers, road tractors, equipment transport vehicles, buses, tow trucks, etc. The rule also applies to two or more vehicles hitched together and where at least one has a GVWR of 4,500 kg or above. All of these vehicles are subject to this inspection, meaning that no driver can get behind the wheel before a circle check is complete. This inspection is usually carried out by the driver or another person designated by the driver. Whatever the case, the vehicle operator will be held accountable. If the inspection is carried out by a different person, the operator needs to sign the report and make sure that the circle check is valid. Drivers can also refuse to accept the statement issued by another person, at which time they will have to perform their test and fill out a report. The owner's responsibility here is to maintain these vehicles in excellent condition, to repair and report defects, and to obtain these circle check reports from the operator. If there are any minor defects detected, the owner has 48 hours to remedy them. Major faults, on the other hand, require all necessary repairs made before that vehicle is used. 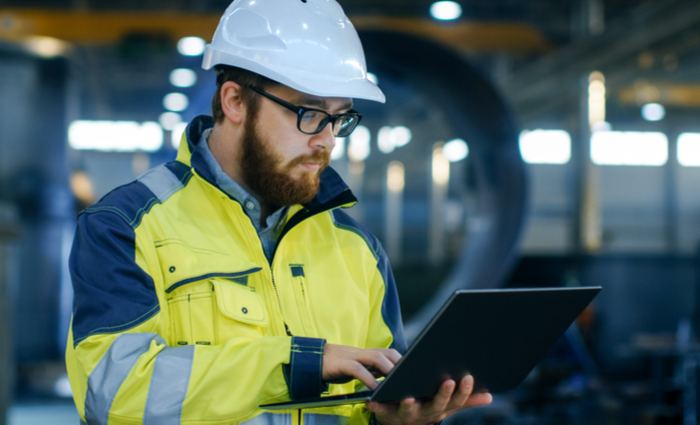 The Checker Software will allow you or your personnel to perform these circle checks and all sorts of other safety inspections, audits, and assessments on mobile devices - providing you with numerous advantages and efficiencies. For more information about this software, feel free to check our website or contact us directly. What Is Your Safety Stack? Do you know what your Safety Stack is? If the answer to this question is No, then good, because a Safety Stack really isn’t a term that exists but we think it should. In order to tell you what it is and how it works, the best place to start is to talk about the concept of a technology stack as a whole. In short, a technology stack, or more commonly known as a tech stack, is a combination of software and various programming languages that are used to create a web or mobile application. A tech stack is like building a skyscraper. You don't start with the fountain in the lobby or the furniture in the rooms. You start at the very bottom, with the foundation and girders to hang everything else on. The tech stack is the skeleton on which everything else is built. In more technical terms, one such stack represents all of the underlying elements of a web or mobile application. These include features such as frameworks, languages being used, as well as the software products that everything else relies on. If we were to look at a Marketing Technology Stack, for instance, we will see a variety of tech-based tools that are used in combination so as to efficiently execute all sorts of marketing activities across multiple channels. Depending on the size and needs of a business, its marketing tech stack can be comprised of a variety of tools that can span over multiple departments. One such stack can include such tools like Campaign Monitor for its email marketing platform, Hootsuite for social media, Google Analytics as its analytics tool, and Hubspot for its customer relationship management (CRM). All of these, or a similar combination, are considered a company’s marketing tech stack. 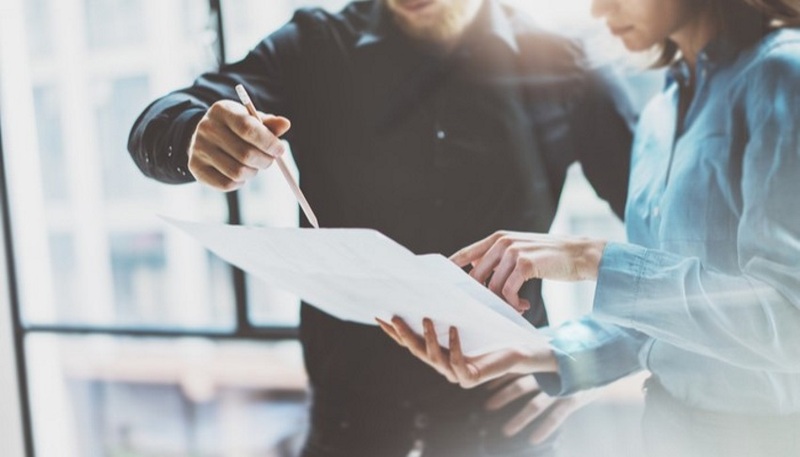 And while each tool performs brilliantly at their respective task, together they make an excellent framework for a business to perform all of its marketing activities. A safety stack, on the other hand, is like the marketing tech stack, mentioned above, but focusing specifically on the tools used to support safety in the workplace. Here, a business could use SAP for its maintenance, Gurock for quality assurance, Process MAP for sustainability, and the The Checker Pro for inspections, assessments, and audits. The Checker Pro is an audit/inspection management system framework and file structure that allows users to organize, standardize, and utilize all aspects of their inspection program. But for the software to work, business processes need to be in place first. Likewise, the most common gap that arises within organizations is between field audits and inspection software. Luckily, however, the Checker Pro manages to bridge that gap by providing the capability to configure and design forms to perfectly suit your business processes and needs. Because of its high degree of flexibility regarding configurations, The Checker Software allows every user to personalize it according to their needs or those of the organization they work for. In short, The Checker Software will help you improve safety, stay compliant with all health and safety regulations, and reduce costs, in the process. For more details on the system, please feel free to visit our website or contact us directly. 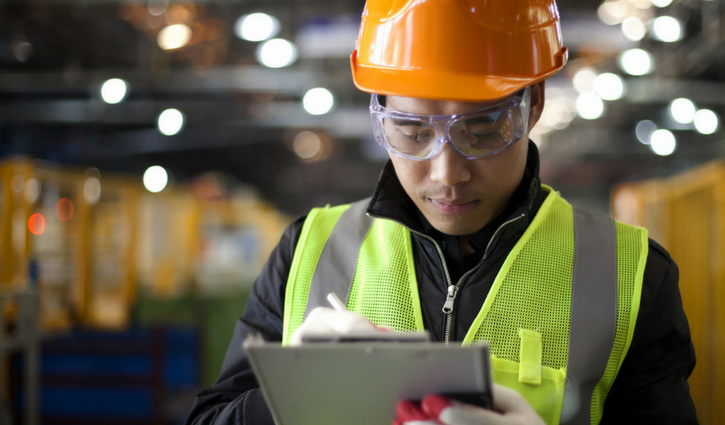 There are several reasons why regular inspections are a good thing for a company. For starters, they were shown to reduce the risk of accident and injury by as much as 23%, as well as the cost reported to injuries by 26%. But aside from the obvious benefits, they also have some extra advantages that may or may not be immediately apparent. Inspections aren’t, as some may believe, just another needless way to spend more of the company’s money. They are there to help prevent accidents that may otherwise hurt your business - and they can do so in more ways than one. Be it a car crash with a company vehicle, an employee being injured on your company’s property, or even a pile of trash found somewhere that have your brand’s name written on it, all of these can have some indirect negative effects on your business in terms of lost capital, lost business opportunities, as well as a blow to your reputation. In the event of an accident, the first of these indirect consequences will present itself in the form a disruption in day-to-day operations. This disruption will also come from more than one place. For starters, if any equipment or machinery was damaged during the accident, it will need to be serviced, during which time, you’ll either have to make due or find a replacement. If an employee gets injured, or worse, they will have to go to the hospital and you’ll most likely need to find a replacement. Depending on the nature of your business, the hiring process can take from 12.7 to as much as 49 days, on average. You will also have to take into account the time needed to properly train that person, which can add at least several more days to the whole process. Depending on the severity of the accident, you should not rule out the possibility of loss in morale among your employees, especially if someone was injured. Though this will not be as ‘visible’ as the others, this disruption will probably end up affecting you the most. Employee morale is strongly linked to productivity and there’s a reason why so many top companies give it so much attention, after all. All of the aforementioned disruption, obviously, have their own price tags attached to them. But among the other direct costs that usually follow a workplace accident involve things like medical costs, employee compensation, insurance premiums and deductibles, death, permanent disability, sick pay, damages to equipment, machinery, or building, government fees, legal fees. Then, there are the more indirect costs that people don’t usually consider prior to an accident. These include things like loss of talent, the cost of hiring and training, overtime to cover the shifts of the injured worker, lower morale, extra supervisory time, increased premiums, cancelled contracts, change in incident rates, Enterprise Rate Modifier (ERM), etc. Depending on the severity of the accident, these hidden costs can run anywhere from 4 to 10 times the amount of direct costs. Big and moderate accidents can and will hurt your brand’s reputation. If an employee get seriously injured or dies, chances are that your business will make the local news. The same thing can be said about poor waste management. If your brand has some national and/or international notoriety, then you’ll probably make it on the national and international news. Negative publicity almost always leads to fewer sales, fewer business contracts with potential partners, often times resulting in your sock price going down. Just look at Tesla and how its stock dropped to its lowest in nearly a year after a fatal crash with one of its cars. After seeing how your brand can be affected by accidents, it becomes immediately clear that preventive measures are key. 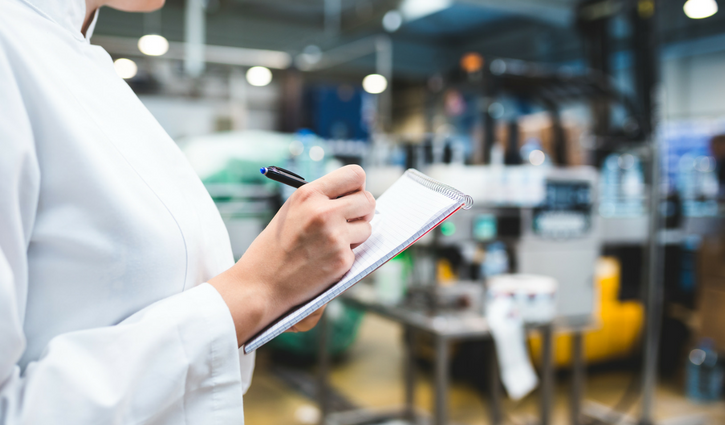 Regular health and safety inspections are a great way of doing that and a cloud-based software such as The Checker Pro will greatly increase their effectiveness. For more information about The Checker Pro, feel free to visit our website or email us at info@thechecker.net. No matter how good your safety policies and procedures are, if your personnel don’t have a safety-first mindset, your safety program won’t be as effective as it should be. Operators in the field are the closest to any safety issue. They are the ones who see what’s really going on. If they aren’t proactively watching for any safety issues, then your safety program has a big hole in it. It’s great if you are using safety tools such as The Checker audit/inspection software or checklist books. But even with the right tools, personnel need to go beyond what’s required and take safety into their own hands. Personnel should be constantly vigilant on the job for any safety issues. A pre-job inspection may not have revealed any problems, but that doesn’t mean problems won’t occur during the job. Operators with a true safety mindset are alert throughout the day to any possible dangers that occur during the job—whether it be sudden problems with equipment, new hazards, or unsafe behavior by their co-workers. Implementing safety policies and procedures isn’t enough. Neither is enforcement. You also need a training program aimed at changing the mindset of personnel who don’t already “get” safety. No one wants to get hurt, and no one wants their colleagues to get hurt. So why is it necessary to train personnel to have a safety mindset? Part of it is simply human nature. We think bad things happen in the news, not to us. We can do something risky—like texting while driving—but most times, we’re okay. Nothing bad happens. It’s easy to become complacent. There’s also time pressure. Taking time to address an unsafe situation on the job can take time, without reducing the time to complete a task. It’s easy to prioritize work activities that are focused on “getting the job done” rather than keeping people safe. When developing and refining your safety training, it’s important to recognize and address these natural tendencies to undervalue safety. Drive home the point that being safe isn’t just about following certain steps; it’s about always being on the lookout for any safety issues. An overriding message of effective safety training is that safety is for personnel. Safety is good business for many reasons, but ultimately the most important reason for safety measures is to protect personnel. If they understand and appreciate this reason, safety issues that arise on the job won’t go unnoticed or unreported, and your safety program will be elevated to a higher level. If management doesn’t have a safety-first mindset itself, safety throughout the company will become lip service and shortcuts will be taken. Operators will sacrifice safety for “efficiency.” The eyes that you need on the front line for an effective safety program will be looking elsewhere. In addition to comprehensive policies and procedures and the right safety tools, a strong safety program requires personnel who are consistently watchful for any safety issues that may arise on the job.